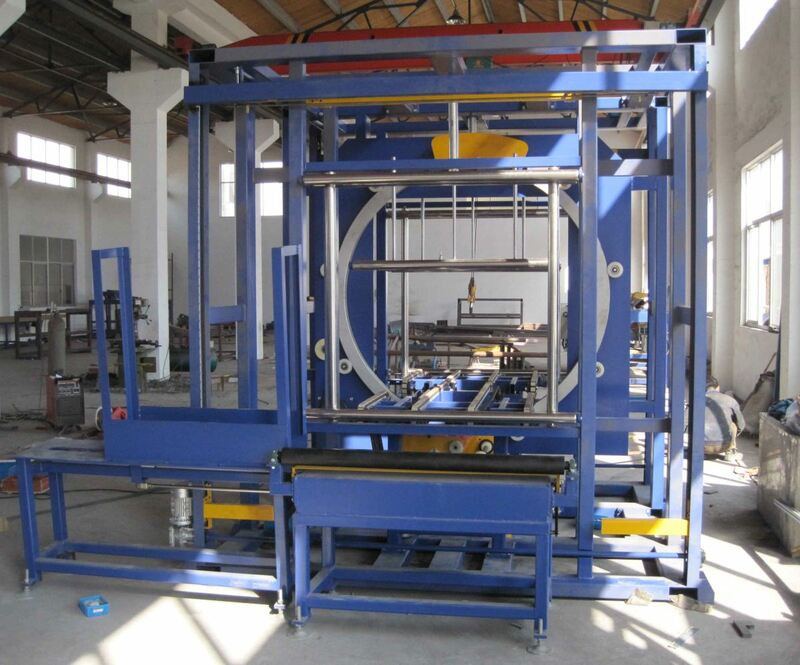 It is used to wrap the sandwich panel pack on Six-Sides, so that it can be prevent from the external damage to coil surface, thus convenient for transportation and storage. The EPS feeder first insert the EPS block to pack bottom after it has been conveyed to the entrance of packing machine, then the upper pressing mechanism will hold and press the packing film so it can pack the front end; after that the side packing roller will start to rotate and at the same time the conveyor will transport the panel forward. Last, the upper pressing mechanism will hold the press the packing film then conveyor backward so the after end can be packed.